The works of Japanese artist Takashi Murakami have inspired both admiration and confusion. 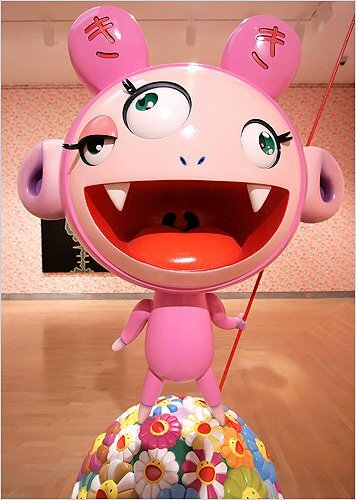 Inspired primarily by anime, Japanese animation, and manga, Japanese comics, Murakami’s paintings and sculptures feature bright, candy-colored images of cartoon-like characters, with large eyes and exaggerated body parts. His works are often decorated with smiling flowers, round, blinking eyes, and colorful mushrooms. Murakami’s creations defy traditional classifications, breaking down numerous barriers.